A bicyclist died after colliding with a car in unincorporated Kane County Saturday morning. 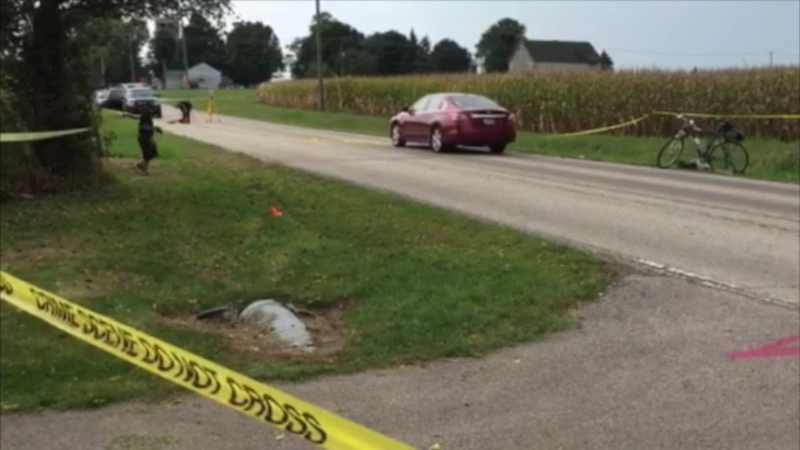 UNINCORPORATED KANE COUNTY, Ill. (WLS) -- A 66-year-old bicyclist died after colliding with a car in unincorporated Kane County Saturday morning. Police say Lonnie Wilkinson was riding on the trail along the Virginia Gillman Nature Trail on Aurora's far west side when she was hit by a car as she was crossing Densmore Road. Wilkinson was taken to a hospital where she was pronounced dead. The driver stayed at the scene and police say it does not appear that drugs or alcohol were a factor.